The pension reform has started. One of the arguments for its implementation was an increase in life expectancy. The silver tsunami is spreading across the globe, with a growing number of elderly people. The market is responding by a wide range of products and technology for prolonging active life. However, activity in elderly people depends primarily on the memory and mental activity, which irretrievably decline over time. Modern medicine allows ‘fixing’ the body bit is only starting to handle the issue of preventing mental disorders. The human cognitive improvement market, aimed at improving the memory and intellect, is at its initial stage but some experts already call it a ‘new crypt’, meaning both growing investments and the hype. This area of activity is gaining greater popularity due to the unprecedented methods and developments that have emerged in the past two or three decades. “To cope with cognitive disorders, doctors primarily use neurometabolic medications – that is, they seek to either prevent or handle pathological changes in the brain’s activity with medications, and to influence the brain at a molecular and cellular levels”, Moscow International Medical Cluster (MIMC) deputy general director Vlada Sayfetdinova says. According to her, this is the area where actual significant achievements can be expected in the foreseeable future. Particularly noteworthy is an invention made by specialists of the Neurodon startup, whose efforts resulted in finding SERCA molecule which positively affects the ion exchange of neurons. The startup, based in the Purdue Research Park in Indiana, USA, is developing medications that could treat the symptoms of the Alzheimer’s disease and the amyotrophic lateral sclerosis (ALS). A group of specialists identified a small molecule SERCA activator that can prevent brain cells from neurodegeneration and clinical death. This will help protect the brain from atrophy and prevent memory loss. Neurodon is currently preparing for pre-clinical trial of the molecule and then will develop a peroral drug. “This is the most prospective and key area of handling cognitive disorders”, Sayfetdinova notes. “Efficient are also methods aimed at increasing brain activity through the use of electrical or magnetic impulses. The third method, which is more suitable for preventing disorders rather than treating them, involves various learning games that improve brain functions”. According to Sayfetdinova, all major and well-known startups in this newly emerged market are rather successful and offer solutions that are undisputed as regards methods’ overall efficiency; the only question is that some methods are more effective than others. Among the most prospective companies, MIMC deputy general director names US-based Neuronetics, which develops methods for transcranial effects on different areas of the brain, Israeli-based Brainsgate, which implements electrical influence methods, and Lumosity interactive simulations. As regards Russian players in the market, Sayfetdinova points out Sotex, a company that manufactures cognitive disorder treatment medications, and Wikium, an online platform that offers gaming simulators aimed at preventing such disorders. There are plenty of methods to keep concentration, memory and cognition sharp. There are medication solutions, physical exercise, nutritional recommendations, and special methods developed by neuropsychologists back in the 20th century for rehabilitation of people with cognitive disorders. In the 21st century, the existing neuropsychological developments and modern technologies have allowed creating efficient programs and online simulators to train and develop cognitive functions. However, there is one drawback to it – they do not produce instant results and require time and regular efforts. “The importance of preventing cognitive disorders is obvious. This has been a global trend for a while, and it has been gaining momentum in Russia as well. People are moving on from simply wanting to stay focused not to miss out on important information, or think logically to find arguments and promptly respond to an interlocutor, to specific actions by engaging in self-development and training cognitive skills. I feel proud of Wikium being involved in it. 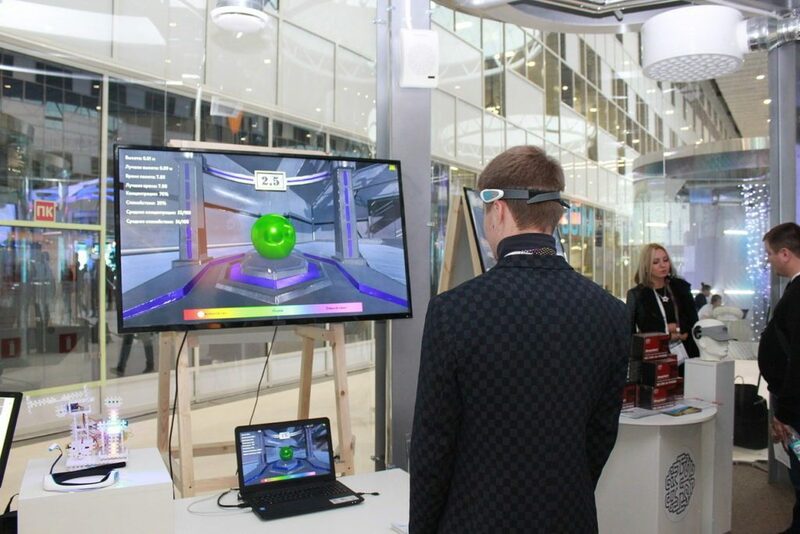 The company was among the first to pave the way for mass promotion of cognitive training in Russia and sparked the interest of our people in improving their cognitive skills”, founder and head of the Wikium project Sergei Belan says. In 2014, Belan launched one of Russia’s first online brain training platforms. 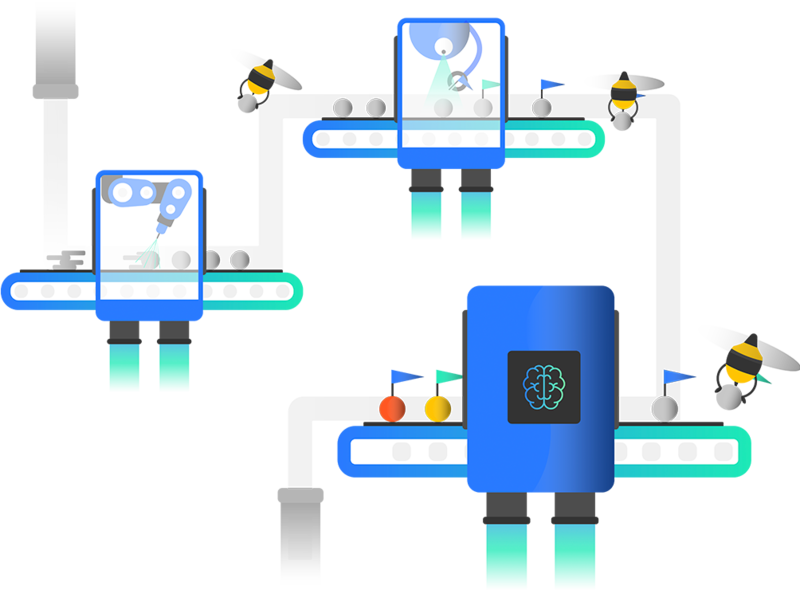 Upon taking an initial test, platform users then receive personal training tasks aimed at training their attention, memory, and creative thinking. 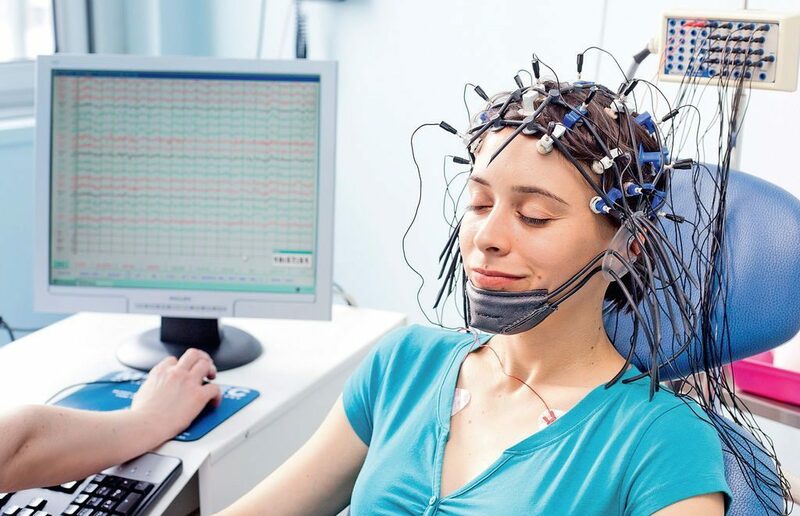 The tests are developed on the basis of works by Russian and foreign neuropsychologists. Regular brain training creates new neural connections, strengthens the existing ones, and restores nerve cell connections that have been lost. Cognitive training is recommended for people of different ages. As regards elderly people, Wikium helps prevent age-related diseases caused by reduced intellectual activity. Today, the site audience exceeds 2.5 million people. Belan positively assesses the attempts of hi-tech startups to play in this field, saying they are promoting the market’s development. “Not all of them have been successful, but this is the field one can play in. According to a SharpBrains rating, the cognitive training market will show an annual increase of 27%. Russia and CIS’ markets show a slower growth than the global one; however, the positive dynamics is there. I think that top companies operating in this market will remain leaders in the field; there is no point for new players to launch their business as it will be hard for them to tap into this market niche”, Belan notes. “There’s never been a hotter topic than preserving cognitive health: by 2050, the world will have 130 million people suffering from dementia, and people will have to choose economic and ethical solutions to this issue. This is an obvious problem: a person suffering from memory loss can forget to turn off the gas or do other things that are dangerous for them and for others”, says Nadezhda Yakimochkina, founder of Masterskaya Pamyati (Memory Workshop), a platform that offers both online and offline anti-aging brain training programs. According to Yakimochkina, the process of normal aging starts in the body at age 33; it begins slowly and then cognitive disorders advance progressively, and then the stage of mild cognitive impairment (MCI) follows at a certain age, which varies from person to person. The first pilot programs launched by the website showed a substantial interests for offline classes in people aged 50 and older; they are even ready to pay for them out of their pension, which is by no means always high, as they fear a possible loss of reasoning ability. It should be noted that today there is an increasing number of those aged around 40 who are concerned about a possible loss of work due to worsening cognitive functions. This results in a greater number of prospective clients. However, the young company expects that it will be employers who will pay for preserving memory and increasing intellectual capacity. “Employer/employee relations have considerably changed in the past few years. The business sector has become more active in seeking tools for increasing workers’ efficiency. The emphasis here is made on working with physical and psychological resources. Corporate fitness and optional medical insurance programs are commonly widespread, while wearable technologies are only starting to gain popularity, opening new opportunities for greater effectiveness and feeling content with the working process for both employees and employers”, says Valery Kuryshev, co-founder of the Special Emotional Technologies company. The startup, created in 2016, developed an emotional protector that determines the level of stress and a person’s emotional health group. The CyberAngel technology measures the stress level basing on the heart rate variability with the use of a special wristband or a small gadget attached to a person’s skin in the collarbone area. The device reads and transfers data in real time without discontinuing work. The development is based on the works by Roman Bayevsky, professor and Doctor of Medical Sciences, who has spent many years researching vegetative regulation of blood circulation basing on the of the heart rate variability analysis. The device data are compared with corporate analytics, which allows seeing how the level of stress changes depending on what is person doing in the workplace. Pilot projects that have been implemented in the banking sector, call centers and the industrial sector have proved the approach’s effectiveness. “We analyze the dynamics of the emotion data curve and see what events it responds to, and make a forecast for a risk of reduced labor productivity, errors, risk of injury, emotional exhaustion, and others”, Special Emotional Technologies director for corporate products Yekaterina Strizhova notes. “Russian companies are not giving proper attention to the burnout factor, while in Europe, it has been already assessed in monetary terms: the effects of the stress factor cost an employer about €1,500 per an employee annually. According to Russia’s Ministry of Healthcare, 78% of Russian adults are living under a steady emotional stress”. The information on risks is displayed on an integrated dashboard, which allows for a promptly response to prevent a certain event or an incident. Basing on the received data, a method for increasing personal efficiency is developed for each employee, with recommendations varying from relaxation to increased physical activity. Valery Kuryshev is confident that the CyberAngel technology will be in demand primarily in the B2B market; the system is beneficial for both employers and workers, who preserve their efficiency and the ability to control it by using the information in the mobile app. “As regards the B2B market, things are more complicated. We are receiving requests from the United States, where stress management has become a norm nationwide, while for Russian users, it’s just the beginning”, Kuryshev says.